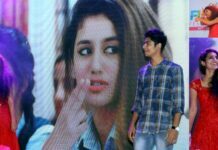 Priya Prakash Varrier Met Sachin Tendulkar: The Malayalam actress Priya Prakash Varrier has taken the internet by storm with just her wink. 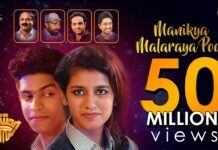 The Oru Adaar Love film’s actress has become a viral sensation and every day her fan-following is only increasing. 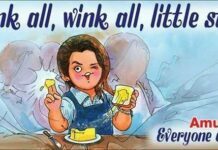 But while the internet is chasing her fandom, the actress had her own fan moment when she met cricket God, Sachin Tendulkar. Priya Prakash Varrier and her co-star Roshan Abdul Rahoof attended the ISL Match between Kerala Blasters and Chennaiyin FC in Kochi on Friday, 23rd February. The actress was very excited to meet Sachin Tendulkar and Abhishek Bachchan. She could not contain her happiness and gleamed while she took a picture with Sachin Tendulkar. It was definitely a fan moment for the 18-year old actress. She was in VIP box at the Jawaharlal Nehru Stadium along with co-actor Roshan Rahoof and cheering for the team Kerala Blasters. From the looks of Priya’s post, we can see how thrilled she was to be in his same vicinity. 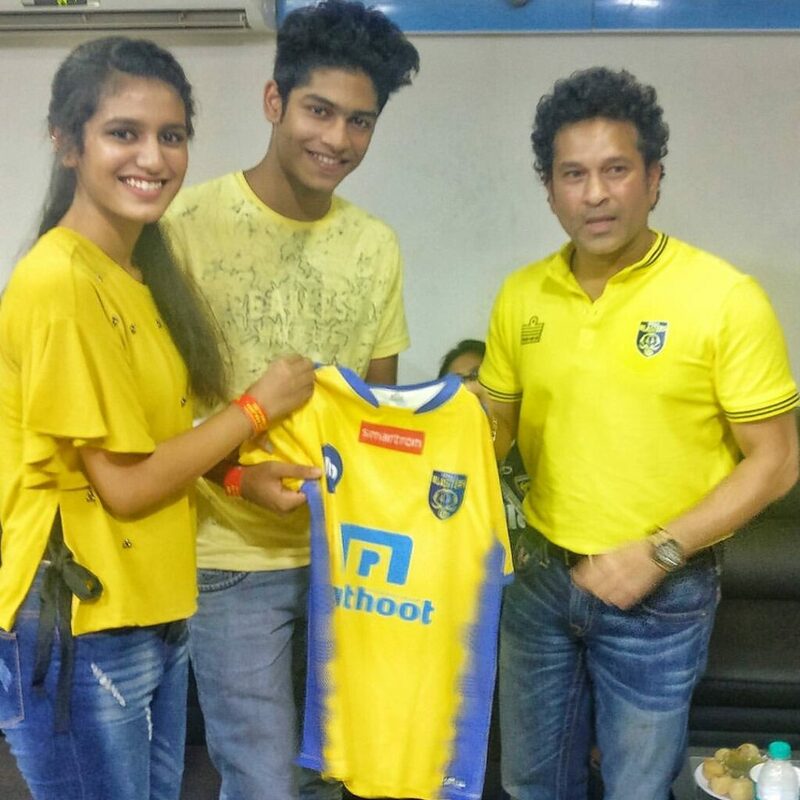 Sachin Tendulkar is the owner of the team Kerala Blasters and Priya Prakash Varrier was obviously happy to be cheering for the team. She then clicked pictures with the Cricket God as they posed holding the jersey of the team. All looked pleasant dressed in yellow and sheer excitement on Priya’s face is evident.